When the trailer and preview of Kunal Kohli’s Teri Meri Kahaani were released, one could notice similarities between his film and a Taiwanese movie called Three Times. The similarities can be found in the periods in which the love stories take place, the use of the same actors in the three love stories, and the way how the stories move as both of them start in the 60’s, move on to the beginning of the 20th century and then end up in 2012. But director Kunal Kohli has dismissed all comparisons. He says his film is different. “I have not seen the film (Three Times) to begin with but someone told me about it while I was making the film and I happened to read about it. But I would still say our film is completely different. It is just a coincidence,” he said. He added: “There is no similarity between the two films. Now-a-days if you want to remake a film, you just buy the rights and make the film. So if I wanted to make Three Times I would have bought the rights,” he said. When the trailer released, it almost immediately became a trending topic on Twitter. And though most of the people loved the trailer, several started to analyze it and discovered many similarities between Teri Meri Kahaani, Mausam, Hum Tum, Veer Zaara and Fanaa. But Kohli says that every love story in a way has the basic element of love, meeting and parting ways. “To meet and part ways is there in every love story, be it Dilwale Dulhaniya Le Jayenge, Kuch Kuch Hota Hai, Fanaa, Hum Tum or Veer Zaara. Whatever popular love story you take..a love story is all about meeting and parting. But how they meet, how they part ways is different in every love story and even in this story, it is different,” he said. 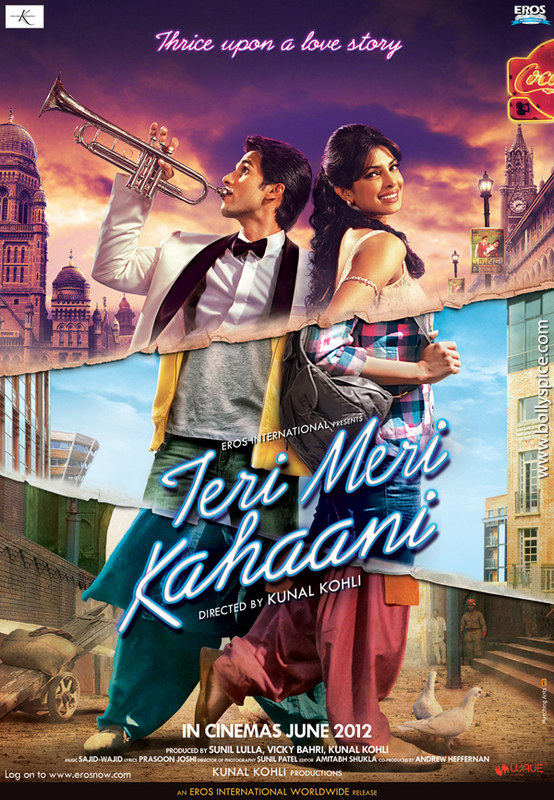 Teri Meri Kahaani is scheduled for release on June 22.